Kids will love them, you can even use chicken strips if you want to mix them up a little. If you having a BBQ this Halloween I recommend you trying them but you can also do them in the kitchen. Tomato Ketchup or Any Other Coloured Sauce for Blood/Ooze Etc. 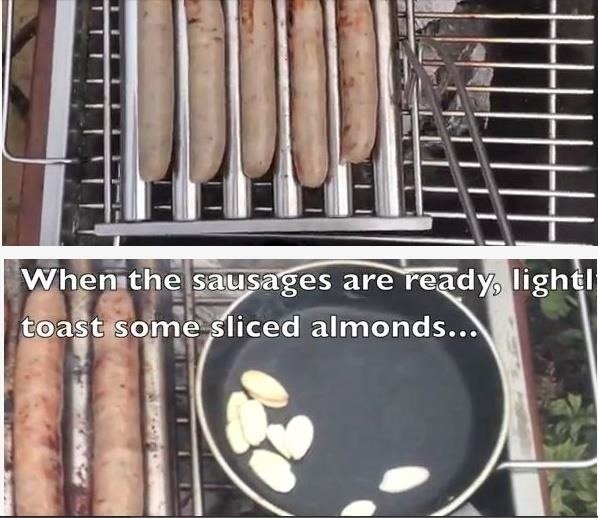 Grill your sausages and try to keep them as straight as possible (don't let them bend on the grill) to keep them resembling fingers, lightly toast the almonds in a pan once the sausages are ready. 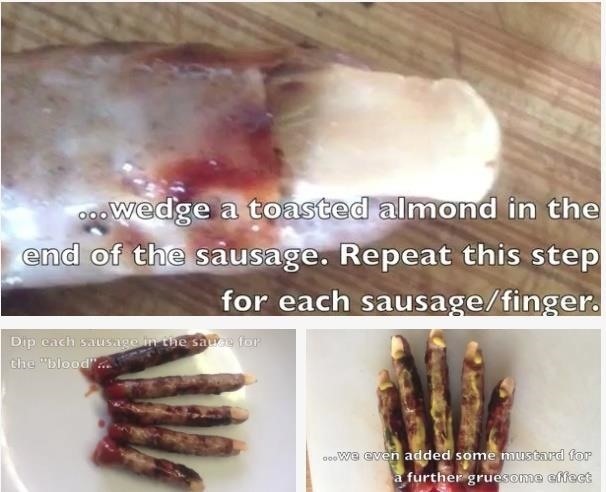 Cut away a small groove of the tip of the sausage and slide the almond slice into position so it digs into the exposed meat at the back of the groove and secures itself in place - Alternatively stick them on with tomato sauce for even more gruesome effect. 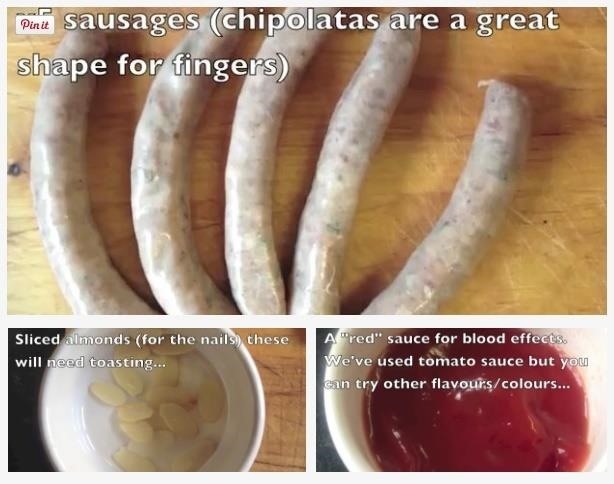 Cover the bottoms of the sausages in red sauce for blood effect. Finally add some American mustard for a disgusting (yet tasty) oozy plasma effect. You're now ready to go and scare the kids for dinner time! !